So I really don't want to admit it, but I feel like I have been out of the loop with the what's available on the internet lately. 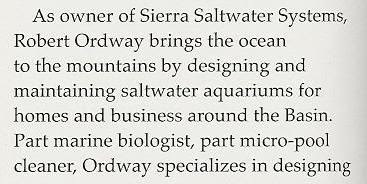 I do spend a lot of time checking out the "local" websites, Reef Central's MARS & Reef Monkey's Sierra Reefer's forums. They provide me with a wealth of information as to what is going on with the local scene, but these three websites provide some great listening info while driving between service jobs. These Podcasts, listed in no particular order are available to subscrbe to and download on iTunes (as well as other avenues). The three Podcasts include great interviews with some of the top authors & conference speakers, along with product, animal and supplement reviews. Also included are video Podcasts of DIY's (design it yourself) projects, fragging demos, tank tours and video documentation of conference speakers. 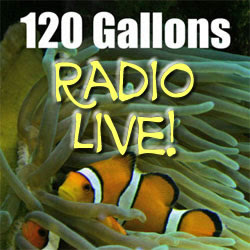 The three of these Podcasts are great learning tools and another avenue towards aquatic perfection. Take a look at their websites, they include a wealth of information. And they are FUN! 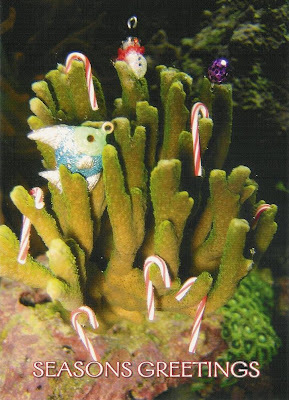 I spent a little time with my underwater camera to create this year's Holiday card for my clients and suppliers. The miniature "tree" ornaments came from minichristmas.com. 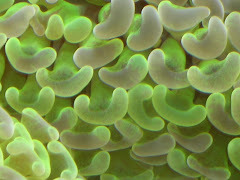 The decorated coral is a Sierra Saltwater Systems propagated Montipora Digitata. I used Shutterfly to print the cards. Montipora is a genus of coral in the phylum Cnidaria. Depending on the species and location, montipora may grow as plates or ridges, appearing to some as a bowl or flower. Undisturbed, the plates expand radially and may encrust over surrounding rocks, shells, or debris. Like other corals, montipora corals are colonies of individuals, known as polyps, which are about 2 mm across and share tissue and a nerve net. The polyps can withdraw into the coral in response to movement or disturbance by possible predators, but slightly protrude when undisturbed. 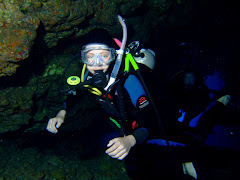 The polyps usually extend further at night to capture zooplankton from the water. These corals have zooxanthella, a symbiotic algae that lives in the corals' cells and produce energy for the animals through photosynthesis. Montipora genus corals are most common in shallow reef environments with bright sunlight and moderate wave motion. Small reef fishes, such as the hawkfish live near montipora colonies and perch on the ridges of the coral. Environmental destruction has led to a dwindling of populations of montipora, along with other coral species. Unlike Acropora corals, montiporas are more stress resistant, and not especially susceptible to coral bleaching when stressed. 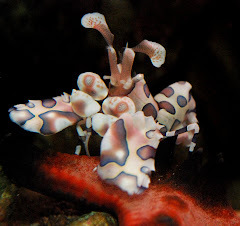 Most montipora corals are brown, pink, or green but variants with bright colors or having a ridge color with a high contrast to the core color are more prized by aquarists. 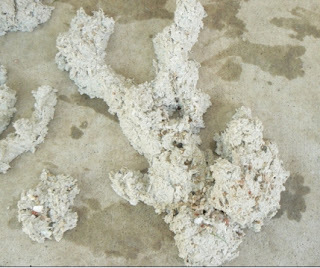 Captive propagation of montipora corals is widespread in the reefkeeping community. Able to endure varied conditions, montipora corals can be grown by enthusiasts without the use of metal halide lighting. 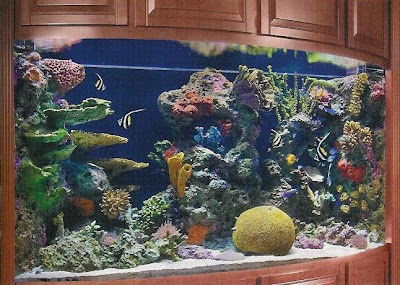 In a well lit reef aquarium, finger-sized fragments can grow into basketball-sized colonies in 2 to 3 years. It has been a good while since I have updated my blog. 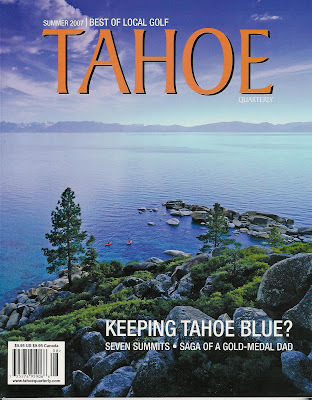 Due in part of my work schedule, but more importantly because of my "dial-up only availability" in my part of Lake Tahoe. Well, things have changed! After living with dial up for over ten years, AT&T has arrived to my neighborhood! So...hopefully I will update more often, even if it is only a quick photo and a few words. Here is a photo of my new 2007 Chevrolet Express van I purchased from Dave Smith Motors in Kellogg, Idaho. If anyone is thinking of buying an American made vehicle, I would recommend looking into this dealership. They saved me over $4000 compared to what the dealer in Reno was offering. Tim & Tracy's Emperor Angelfish. In this magnificent fish there is an incredible color difference between the juvenile and adult specimens. Juveniles of this species have white concentric rings on a dark blue body. Adults have alternating blue and yellowish green lines on the body, a yellow tail a black eye mask and a black band around the pectoral fins. 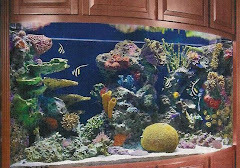 Transforming individuals (sometimes referred to as "teenagers", or "changing") are occasionally seen in the aquarium trade as well. Provide this species with plenty of unencumbered swimming rooms as well as several suitable places to take shelter when threatened. Do not keep juveniles together, or with any other juveniles of this genus that are similar in general color. One of the easier to maintain hard corals, Purple Fungia is one of the harder to find color forms. Fungia can thrive in a wide range of conditions. 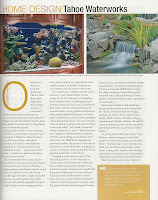 Acclimates best in low water flow and indirect lighting, they can adapt to a wide variety of conditions. Best placed on sand bottoms, rather than on rocks, as the tissue is easily damaged by rubbing against rocks. 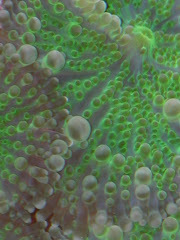 Fungia is nearly identical to the plate coral, but without tentacles. Hippocampus Kuda is huge by the standard of the most commonly seen seahorses. This incredible animal is tank bred and raised, and will reach a maximum size of approximately 12 inches tall when full grown. 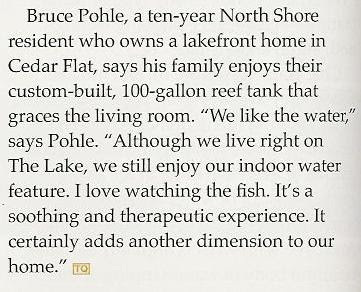 It is very important to provide a tank that is not only tall enough but also wide enough to provide enough space for the seahorse to move around comfortably. A minimum tank size of 55 gallons is recommended for the Kuda seahorses, for up to two. Seahorses are slow moving and peaceful animals that should only be kept with others of their own kind or with other peaceful animals. 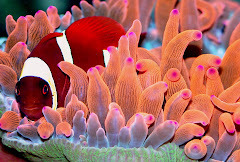 Tank mates such as Pipefish are ideal, but faster moving fish such as tangs and angels should be avoided. 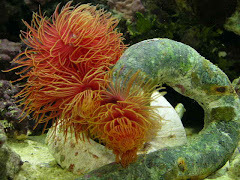 Some type of branchy decoration should be provided in the tank for the seahorse to latch on to with its tail so that it can be comfortable. These tank raised Kuda seahorses are used to feeding on frozen Mysis shrimp as well as some brine shrimp. Brine shrimp should be considered a treat, whereas the Mysis shrimp should be considered the daily food. The bible has images! 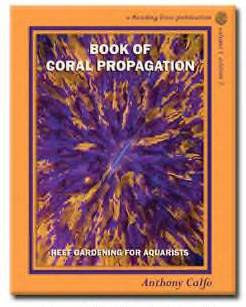 Anthony Calfo's much referred to Book of Coral Propagation is in the process of being re-published and is now available for pre-order through his website www.readingtrees.com . Anthony is not shy about sharing his knowledge through his experience in the propagation business, which is invaluable. 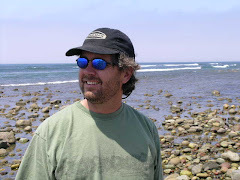 His writing style is easy to read and enjoyable. I recommend this book to any of my clients who are not afraid to get their hands wet, use a dremel tool or Xacto knife, a little super glue or fishing line and passing on a bit of their reef. 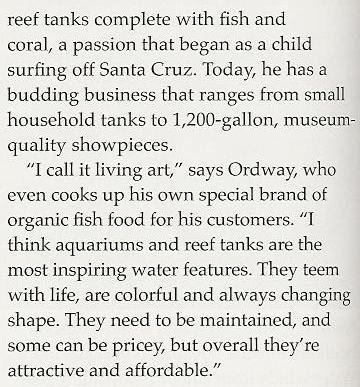 I recently pre-ordered the book through his website (he makes a bit more money if ordered through his website, rather than Amazon or the larger online aquarium suppliers) and he sent me this nice reply. Thank you for your book pre-order and your continued support, my friend. I remember back in 2001 that you were one of the first folks to pre-order the first edition of this book! As always, I pray that you enjoy the read and find great merit in the work.